ONYX FirstVision™ is a revolutionary wayfinding navigational tool for firefighters and other emergency responders. 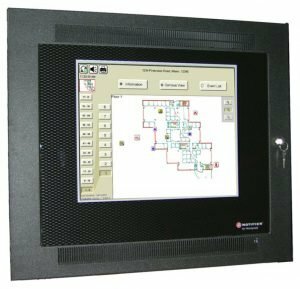 ONYX FirstVision™, a touch screen, graphically displays critical information on the origin and spread of a fire; allowing firefighters to quickly locate and extinguish the fire. In an emergency, the only thing more important than speed is reliable information. 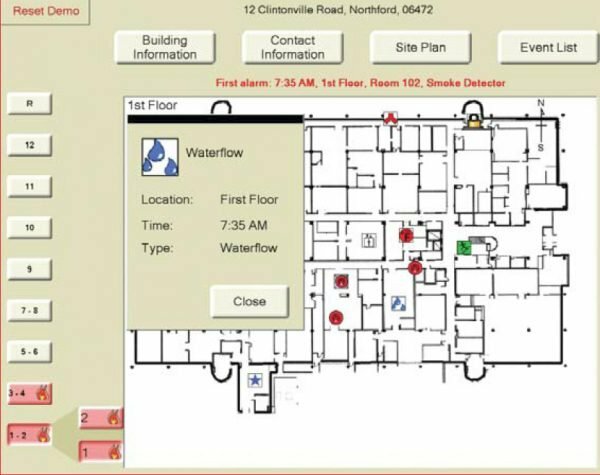 With ONYX FirstVision, a first responder or incident commander goes directly to the system’s interactive touch screen to quickly assess critical information, such as the origin of a fire, how fast and in which direction it is spreading, and the access or exit routes that are affected. Armed with this knowledge, firefighters and other emergency personnel can quickly develop and execute a safer, more effective response that can potentially reduce the loss of property and life. 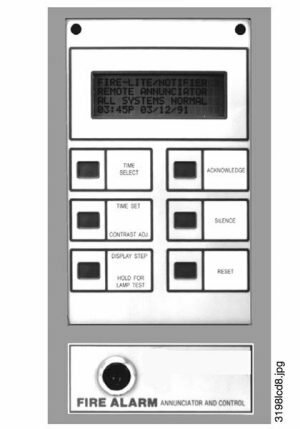 Current annunciators only display information from the fire alarm control panel, usually no more than which devices are in alarm. 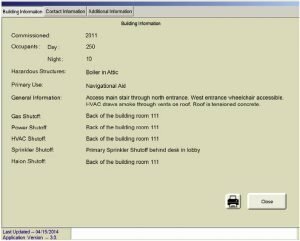 On its 22” LCD, wall mounted touch screen, ONYX FirstVision displays entire floor plans with the location of all active alarm system devices, potential hazards, additional access and egress routes, as well as standpipe, stairway and emergency shutoff locations throughout the building. Anything that might help or hinder an emergency responder is clearly indicated. 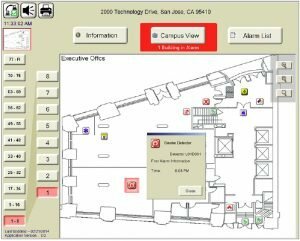 Using ONYX FirstVision, emergency responders quickly identify any and all areas of concern within an individual building or multiple buildings throughout a campus. 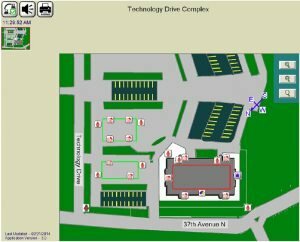 With an entire campus in their view, incident commanders can direct arriving personnel and apparatus to strategic positions around the emergency. Then, with just a few touches of the screen, they can narrow their focus down to an individual building, floor, or room -even a single, activated smoke detector. With ONYX FirstVision™, emergency responders can immediately gather the information needed to accurately pinpoint the source of the fire and the rate at which it’s spreading. 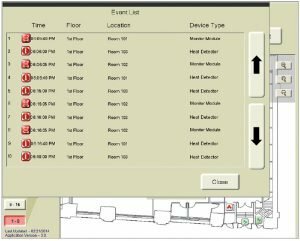 Crucial information is easy to access with a spatial, graphical depiction of the location of activated detectors and detector sequence of activation for one or multiple buildings. 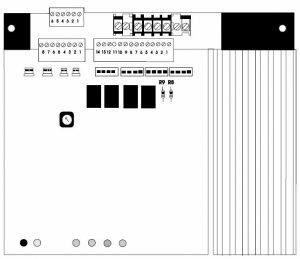 Interfaces to the ONYX® Series panels or NOTI•FIRE•NET (version 5.0 or higher) through the NFN Gateway over Ethernet. Supports the following additional languages: Arabic, French (Canadian), Hebrew, Korean, Portuguese, Spanish, and Chinese (Traditional and Simplified). Supports multiple Gateways for large networks and campuses.